15 Exhibition booths will be prepared in SWAN. 9 Exhibition booths will be prepared in Room 104. The shape and size of one booth is shown below. 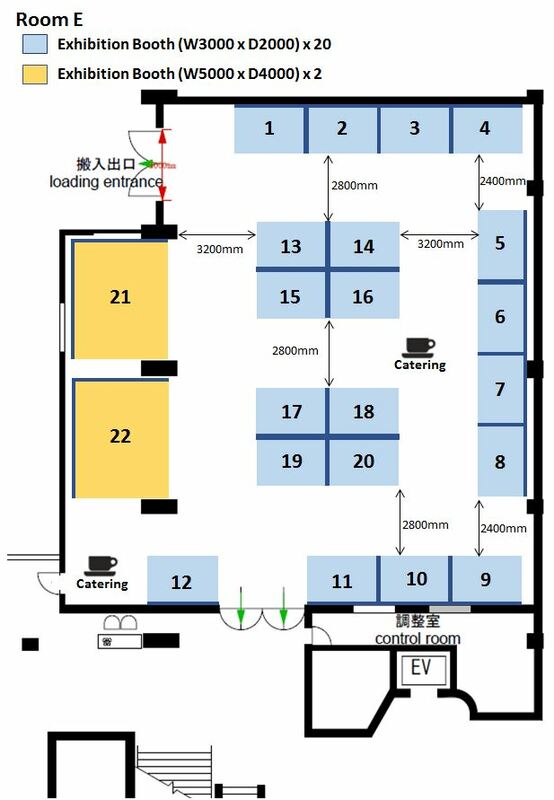 A booth with three side panel and electricity and name plate of company / organization will be prepared. Springer Nature company for exhibition of Journal “Landslides” , ICL books (General Assembly in 2005, WLF1 in 2008, WLF2 in 2011, WLF3 in 2014, WLF4 in 2017) and other books. The room SWAN is facing to the garden and the pond. Participants can go out to the terrace and the pond. Stand tables and drinks may be prepared.